We could only get a few of these types of bandages as this is all they had in stock. Fred is in need of this type of bandag. These are the sticky ones. Much better to use these than a normal bandage as they fall off very quickly. If anyone knows of anyone who can help out at all, this is the largest ones we can find in Mae Sot. We brought 100 cans of fish, 180 cartons of soy milk & oil to be given to the Tea Shop to be given to the kids & ones in need. 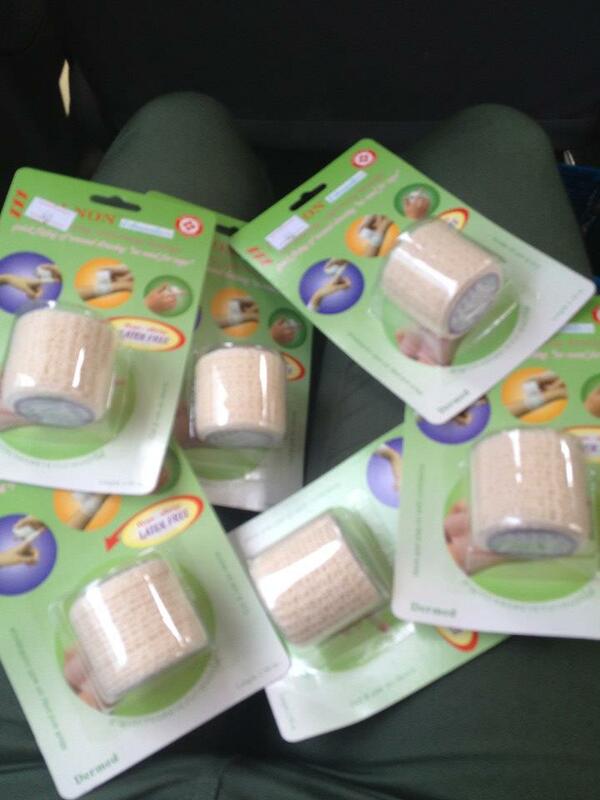 These sticky bandages are in short supply in Mae Sot; we could only get a few packages. Fred is in need of this type of bandage, as they do not readily fall off. If you know anyone who can help out at all, these are the largest ones we can find in Mae Sot. Megan and Suzanne.